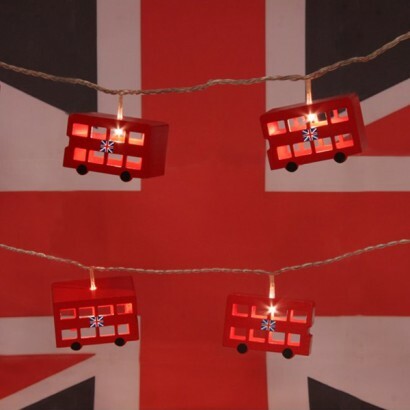 Whether it's "patriotic chic" or colourful kids decor "one" is looking for, these funky little wooden London Bus String Lights are just the thing to bring some quintessentially British style to your home. 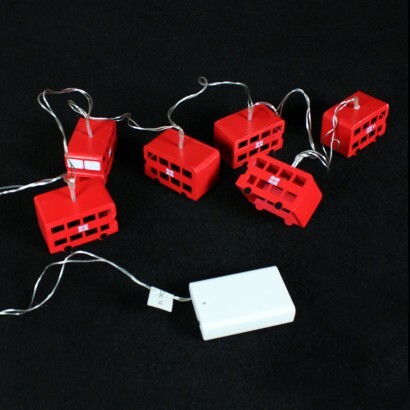 Hand made and hand painted, this set of six London Bus String Lights are beautifully decorative and deliver outstanding retro British style. I love these little London buses! I bought these as a surprise for my wife who is a bus driver to take camping with us. 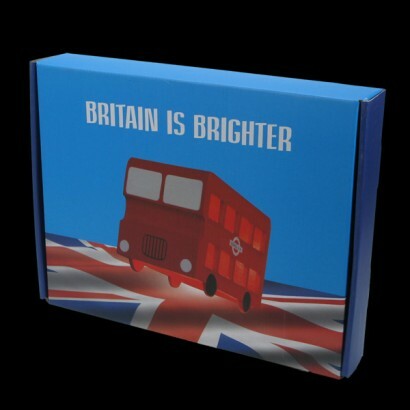 The are fantastic quality for the money and give a nice ambient light in our bell. Tent. We love them! 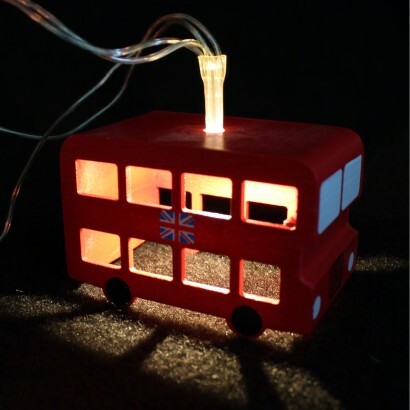 I bought the bus lights for my son's bedroom and he loves them. The product is well made and I have not seen them elsewhere. These arrived very quickly and were wrapped in a wonderful box. They are just simply wonderful, my autistic son loves them and puts them on every night. I only wish that instead of just six buses there was about 20. I saw in a reduced to clear bin at £29.95, reduced from £37.00. I didn't really want to spend that much so was delighted when my daughter found Glow and I got them for a very reasonable price, nicely packed and sent very quickly. Thankyou.